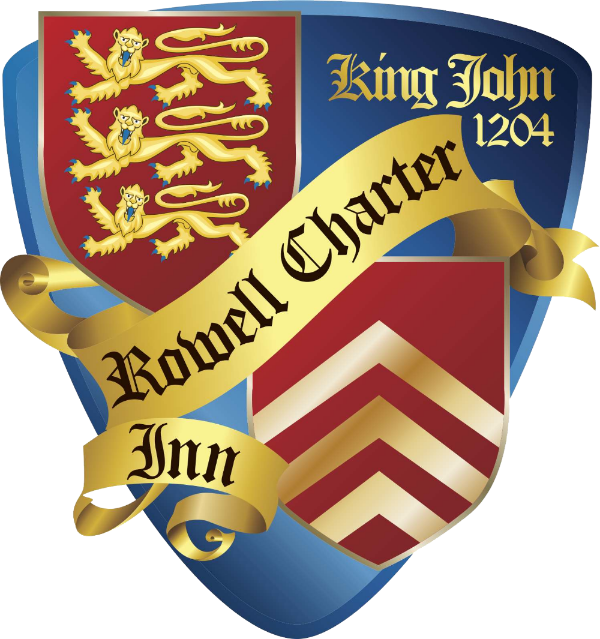 Just a short hop, skip and jump for the PRATS along the road to Rowell. No ales before the game, we wanted to stay focused on the feast of footy we were expecting. Unfortunately it wasn’t the Rowell Feast we were hoping to indulge in. OK the bumpy pitch didn’t help; full praise must go to the Corinthians for running themselves into the ground in an effort to thwart the Poppies progress into the County cup final. They fought hard and tackled hard, opposition teams now understand that if you get into the face of the Poppies you’ll stop them playing and a chance will come their way, however, they must take that chance. Rowell didn’t and eventually the Poppies came through to face former rivals phoenix team AFC R&D at the partially built, scandal ridden Sixfields Stadium in Northampton this coming April. After the game it was time to get some ale to wash away the nightmare visions of the horror show we had just endured for a tedious 90 minutes. There are a couple of decent pubs in Rowell. 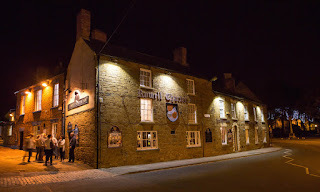 The Woolpack has a good selection of ales, almost next door is the Bluebell and on the Market Square we have the Red Lion. 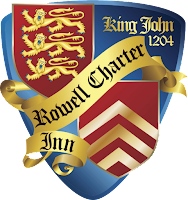 But tonight we went to the old favourite the Rowell Charter, always a good selection of fine ales, usually up to 8 ales available. Pharp had a Phipps’s Bison Brown ale, goodness Fuggles remembers having a bottle of this on the Sunday dinner table at home over 50 years ago. Dad would always let us have a little sip. Over the years the sip has become swig, gulp and guzzle. The Bison looked a bit hazy, Pharp wasn’t overly impressed with this 4.5% brown ale, the head remained until the bottom, Pharp fetched out his blue LED keyring torch to shine through his beer, sadly not much of a beam came out the other side, maybe hazy was being kind, cloudy more like it. Parker had a pint of Banks’s Amber, it certainly looked in good condition, very clear with a good head, when asked if it was ok, Parker just nodded. Citra and Fuggles went for one of their favourite ales; Castle Rock brewery’s Elsie Mo. A delightful zesty golden ale coming in at 4.7%, always refreshing premium ale in superb condition, a good head and very clear. Tonight we arrived just as the quiz was getting under way, we didn’t get formally involved but spent most of the late evening making half loud hints of the answers to the quizzers close by. Pharp got excited when he knew the Christian name of Ferdinand Porsche. It came as a surprise when Citra knew the name of the 2015 great storm that hit the UK, Storm Desmond. You would have thought Pharp was the expert when it came to strong destructive winds. Parker’s specialist subject is the source of the Thames, the depth of intellect that is clearly abundant amongst the PRATS is sometimes overwhelming. Next up on the beer front, Citra stayed with Elsie, Pharp went for Hobgoblin, boring, whilst Fuggles went for Star brewery’s Titan, a refreshingly light blonde ale with loads citrus, very nice. So much so that Citra tried a pint next time round. That was it for the night; next trip is Chippenham in a couple of weeks.